Can Eye Movement Work Like Therapy? A controversial treatment shows promise, especially for victims of trauma. 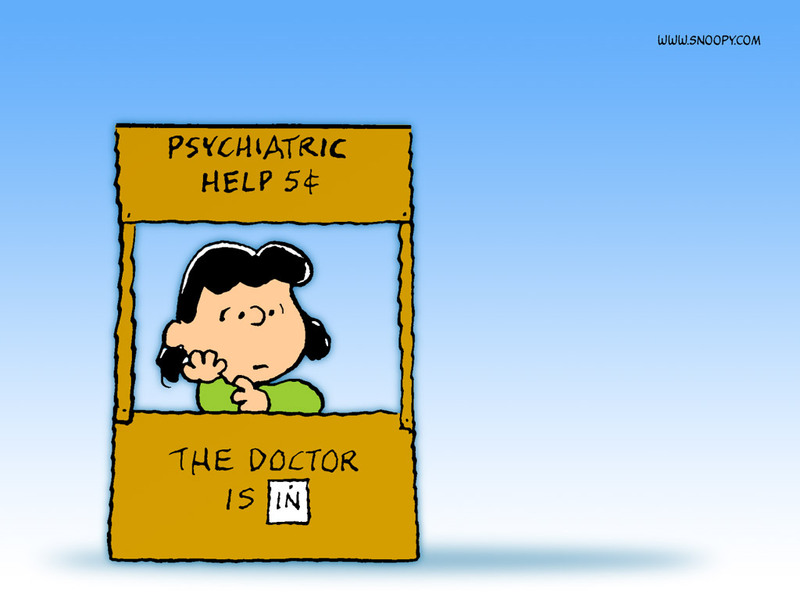 Unlike most stereotypical images of mind alteration—“Psychiatric help, 5 cents” anyone?—this one is real. An obscure type of therapy known as EMDR, or Eye Movement Desensitization and Reprocessing, is gaining ground as a potential treatment for people who have experienced severe forms of trauma. Here’s the idea: The person is told to focus on the troubling image or negative thought while simultaneously moving his or her eyes back and forth. To prompt this, the therapist might move his fingers from side to side, or he might use a tapping or waving of a wand. The patient is told to let her mind go blank and notice whatever sensations might come to mind. These steps are repeated throughout the session. The psychologist Francine Shapiro invented EMDR in the 1980s when she noticed that moving her eyes from side to side seemed to reduce the occurrence of her own distressing memories. Later on, she theorized that trauma causes negative emotions to be stored within the same memory network as a troubling event. EMDR, she says, helps re-wire these connections. Some experts think the eye movements help re-shuffle memories so that when they are stored again, they lose some of their traumatic power. “People describe that the memories become less vivid and more distant, that they seem further in the past and harder to focus on,” Chris Lee, a psychologist and EMDR practitioner at Murdoch University in Australia, told Scientific American. There’s been some controversy over whether the eye-movement portion of EMDR is really necessary. After all, the rest of the EMDR session looks just like a standard therapy appointment, with the patient rehashing past experiences with the guidance of the therapist. Some meta-analyses have found EMDR to be no better than cognitive-behavioral therapy for victims of trauma. But a 2011 study that compared PTSD sufferers who moved their eyes during EMDR with those who kept their eyes closed found that the eye-movers had a more significant reduction in distress and had less sweat on their skin—a symptom of unease. The eye movements have also been found to outperform beep tones and other types of stimuli. Others say the real advantage of EMDR is that it can work much faster than more traditional forms of therapy. “According to Shapiro, research shows that 84 to 100 percent of single trauma victims do not experience post-traumatic stress after three 90-minute therapy sessions using EMDR,” notes a report by the New York radio station WRVO. Vincent Felitti, one of the world’s leading researchers on childhood trauma, told me recently that he would often recommend his patients get EMDR, rather than conventional psychotherapy. “The downside of referral is that conventional approaches like psychotherapy are very expensive and unaffordable to most people,” he said. Now, the American Psychiatric Association, the International Society for Traumatic Stress Studies, and the Departments of Defense and of Veterans Affairs all recommend EMDR. There seems to be a surge in people—like refugees and returning soldiers—who could use quick-acting, effective trauma therapy. One recent study found that EMDR might be effective for Syrian refugees in camps. Another found that soldiers and veterans might benefit from EMDR, though exposure therapy came out as a more effective treatment in that study. Yet another paper found that EMDR works better than other therapies among obese people who have trauma in their past. As with most treatments, one type of therapy won’t help everyone. But some types—even the strange ones—might be more helpful than they sound.